CHIREDZI - Students from the Zimbabwe Staff College who are taking part in the Joint Commandant Staff Course number 30 last week toured the best-performing sugarcane farms owned by indigenous farmers where they expressed appreciation of the role being played by the farmers in the development of the local economy. A hundred and twenty-three army officers from the SADC region and Nigeria who are taking part in the course visited the Incorruptible Sappers Farm which is owned by Major Faster Gono (Rtd). The farm, located in Hippo Valley, produces more than 140 tons of cane per hectare, making it the best farm in the region. 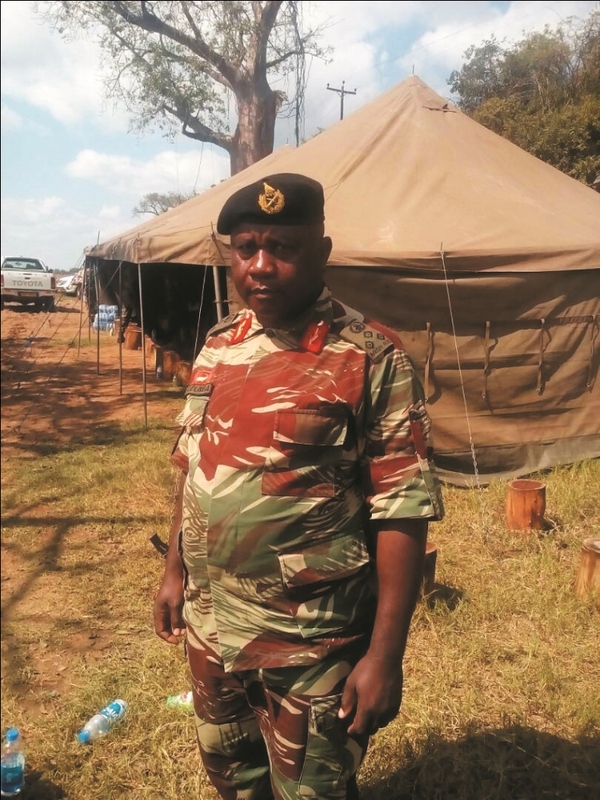 Commandant Zimbabwe Staff College, Brigadier General Josphat Kudumba said the team was touring various areas that are playing a critical role in the survival of the economy of the country. "We are on a study tour with students of the Joint Commandant Staff Course which is designed for students to study defence and security issues and as we might be aware, security studies these days are much more diversified. "We look at various areas of how the economy of Zimbabwe is surviving. We have already visited other industries including the mining sector and this specific trip is for us to know how much the industry contributes to the economy and this is important for our national security studies," said Brig Gen Kudumba. Speaking at the same event, former Tongaat Hullet executive Farai Musikavanhu said the sugar industry was key to national economic development. "We harvest an average yield of 110 tons per hectare and the yield that we get from those tons is around 13.8 tons of raw brown sugar. The revenue per ton is around $540 - 600 and we translate it to around $7 400 per hectare revenue….In a year, we harvest 4.7 million tons of cane which can be processed up to 600 000 tons of raw sugar. "In addition to that, you get molasses which can be cemented to produce ethanol and livestock feed. About four percent of cane tonnage produces 200 000 tons of molasses per year. We also have fibre or bargas at three percent.